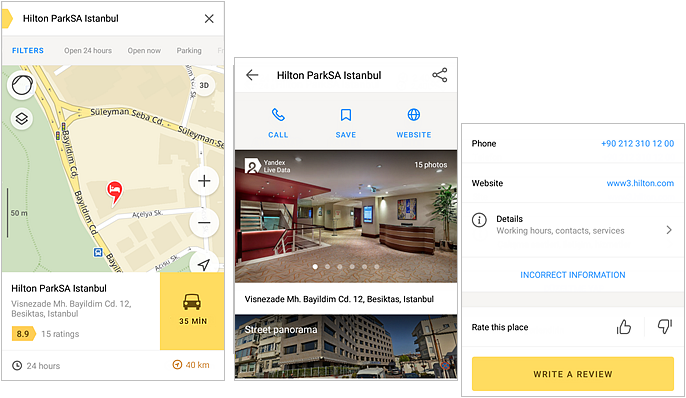 Users will see your business and all information about it in Yandex search services connected to the Yandex Business Directory. 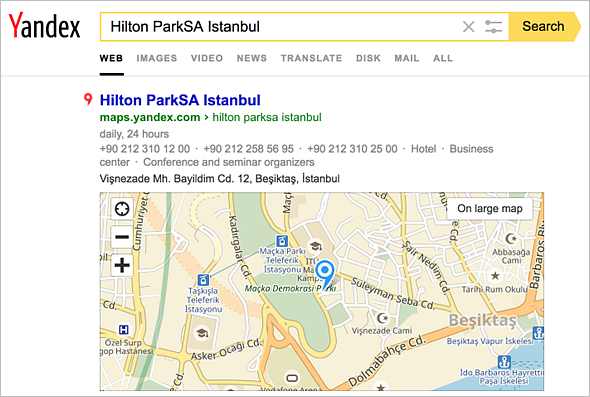 If the user searches for a business by its name, type or location, search results show a list of businesses with information from the Yandex Business Directory. If the user opens the business profile from a mobile phone, they can immediately call the number shown. 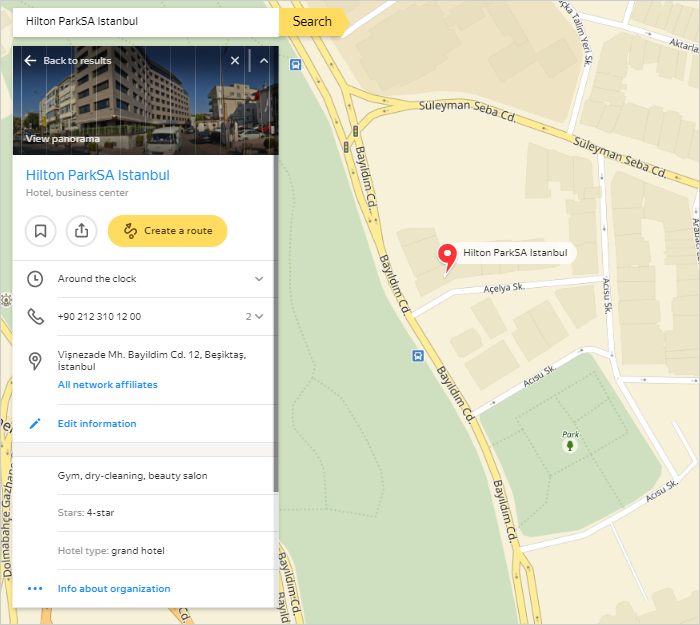 In search results, information from the Yandex Business Directory is shown in a block with a map.